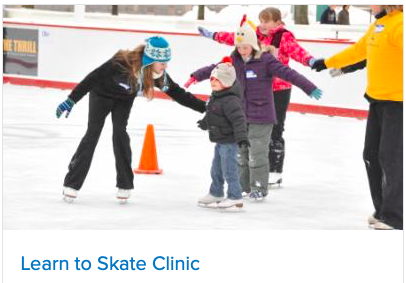 The ice rink will be closed to the public during each skating clinic and no walk-in registrations will be allowed.To register, click HERE. All classes are 30 minutes long. This entry was posted in Events, Freebies, Kids and tagged class, free, kids. Bookmark the permalink.